How do ecological and evolutionary processes interact in nature? Simply stated, evolution is continually persistent yet the pace is too slow for us to see it in action. What he knew about evolution was learned from its footprints in the fossil record showing us evolution had shaped the world as we know it today and from the patterns of diversity we see among living organisms. Evolutionary biologists now know that organisms can evolve very quickly, even in just a few generations. We are studying natural populations of guppies and killifish on the Caribbean island of Trinidad to observe the process of adaptive evolution in nature, and test evolutionary hypotheses. 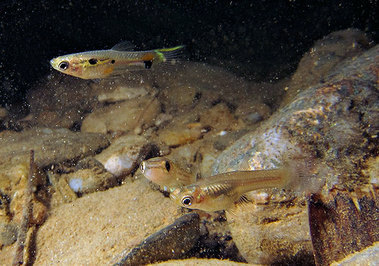 The Guppy Project began in 2007 when a team of professional scientists, post-docs and graduate students began studying the ecological and evolutionary consequences of guppy evolution in nature. Our project was built on decades of research of populations of guppies that live with and without predators and on prior experiments in which we tested predictions of evolutionary theory and quantified rates of evolution in nature. One of our early discoveries was that evolution is fundamentally different from what Darwin envisioned. Evolution is tens of thousands of times faster than had been perceived in the fossil record, which was where Darwin and those who followed sought evidence for the rate of evolution and solidified Darwin’s concept of evolution as a glacially slow process. In our new experiments, we are exploring the consequences of the rapidity of evolution. One consequence is the possibility that ecology and evolution are like two actors on a stage, constantly interacting with each other and modifying one another. This interaction is referred to as eco-evo dynamics. This perspective of ecology and evolution as contemporary, interactive processes is fundamentally different from mainstream thought in the discipline of evolutionary ecology. The mainstream thought had been that evolution is so much slower than ecology that we can ignore evolution when modelling ecological processes. By 2007, eco-evo theory had shown that if we instead treated evolution as a contemporary process, the predicted outcome of ecological interactions could be fundamentally different from what is predicted by theory that does not include evolution. Laboratory experiments on model ecosystems proved that this new theory is correct. Our ambition is to quantify how important dynamic interactions between ecology and evolution are in natural ecosystems. The challenge is learning how to test for the presence of eco-evo dynamics in nature then characterizing their consequences. The promise is that doing so could improve the predictive qualities of both ecology and evolution as sciences. Our research was originally funded by a US National Science Foundation Frontiers in Integrative Biological Research grant that included evolutionary biologists, community and ecosystem ecologists, and theoreticians. The Guppy Project has contributed a wealth of information on natural selection in nature. The project has expanded and scientists are currently investigating questions related to the evolution of diverse traits, including life histories, morphology, behavior, metabolism and neuromuscular performance. 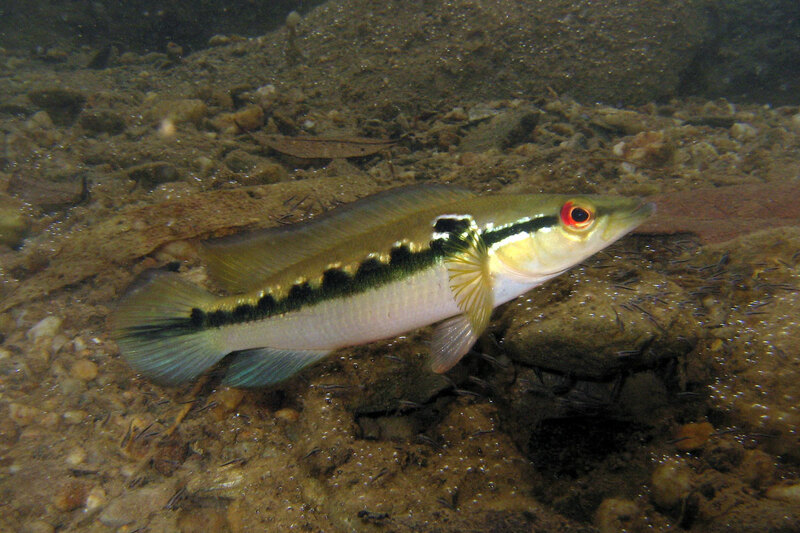 One way in which ecology and evolution interact is through population density; when guppies are abundant, they change their surroundings through their activities and what they consume as food. These changes in turn impose selection on guppies and cause then to evolve, so we are paying special attention to the ecology and evolutionary consequences of population density. We are also studying how guppies shape the evolution of other species and how the joint evolution of guppies and other species affects their ability to co-exist with one another. Find out more about our research, our team and how to get involved in the links below.